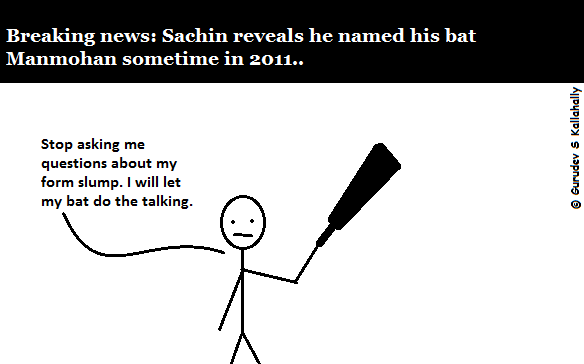 Nosey Journo: "Sachin say something new!" Sachin: "That too is upto my bat..." *takes bat and hits it on journos head - THUNK* "..there you go!" For the record: My heart goes out to both of them. Tough to be surrounded by idiots who are constantly telling you what to do. Fingers crossed for Kolkata.